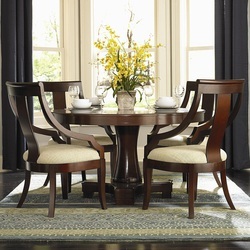 This beautiful pedestal dining table and chair set will be a lovely addition to your semi-formal dining room. The smooth round table top features a smooth edge, in a warm rich Cherry finish over exotic Catalpa wood veneers. The simple and classic pedestal base offers understated elegance for your home. The chairs have high vertical splat backs with an elegant curve, and sides that slope down to form arms. Sleek tapered square legs support the chairs, while soft fabric covered seats add comfort and style. 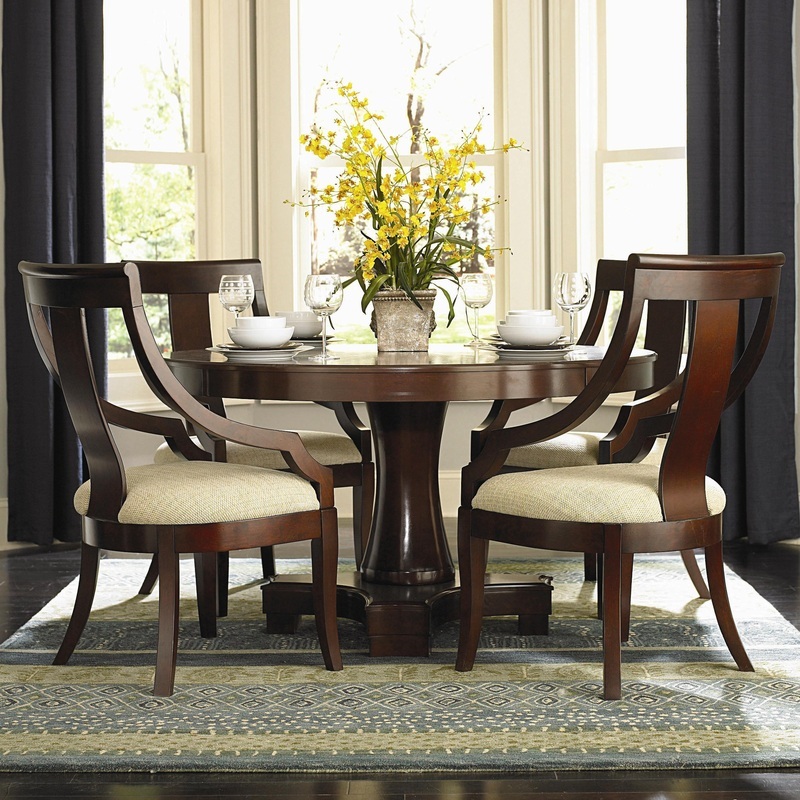 Choose this table and chair set for a harmonious transitional style that you will love.